I came upon this trailer while I browsing the IMDB trailer gallery, and I’ll admit I went for it simply because of the cast. Actress Lauren Lee Smith was a star of “Mutant X,” later had a regular gig on “CSI,” and currently stars in CTV’s “The Listener.” But I’ll always remember her as Dana’s sweet-natured sous-chef girlfriend Lara on “The L Word.” In this film, she appears alongside her old costar Jennifer Beals, but in a much more prominent and inarguably leading role. The title is intriguing enough, reminiscent of something like “Deconstructing Harry” in which film is looked from a different angle than usual, as a way to portray and understand life. I’m not sure this film is meant to be quite as structurally complex, but there is an intentionality about how the trailer is cut together, introducing Smith’s Grace through her interactions with others and through her relationship with her famous father, explored by a posthumous retrospective of the films he made. It’s exciting to me when actresses like Smith, who spend most of their careers in the background enhancing projects without receiving top billing or their own emphasized storylines, get tapped for lead roles like this. I haven’t seen any of director Terry Miles’ previous work, but I suspect that he or someone else saw Smith and realized the potential that she has. 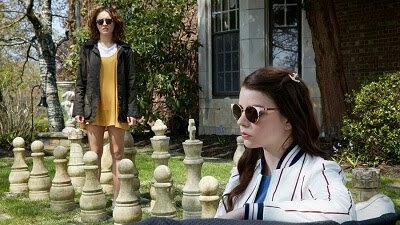 This indie movie premiered at the Toronto International Film Festival last year and was purchased a few months ago by Monterey Media for a slated summer release, according to Deadline.com. I’d be very interested to see what this looks like, and to see Smith have the opportunity to own a creative film like this.